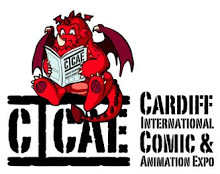 This weekend sees the first time for me attending a convention in Wales. I’ll be there all weekend with advance copies of both the new Dogbreath and Zarjaz! 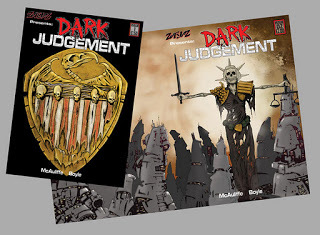 I’ll also have a comprehensive set of back issues including the soon to be sold out forever DARK JUDGEMENT comics. For those of you who buy more than one comic, I’m going to be bringing my work doodles along for you to choose from. Supplies of the sketches will be limited so make sure you stop buy early to get the best choice. Dr Maybe’s Museum of Death is by Tony McVeigh and Chris Askham. Currently scheduled for Zarjaz 15 in July 2012. This Just In: Judge Dredd- The Taking Of Mopad 456. Zarjaz 15 is due on sale in July 2012. Zarjaz 15- Cover artist secured! What? Zarjaz 14 isn’t out yet, so why am I talking about 15? 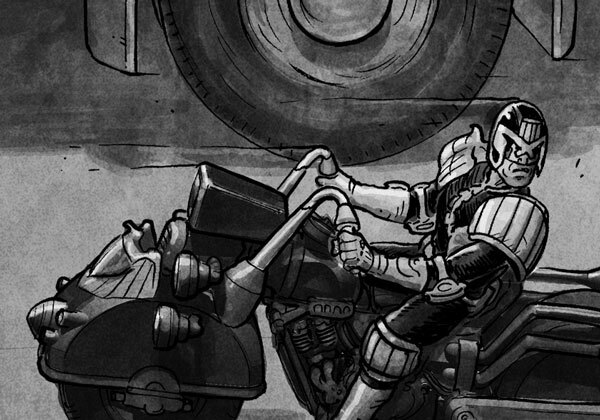 Well, Zarjaz 15 is going to be a mainly JUDGE DREDD centred issue, with at least three strip featuring the man himself. So it is to be expected that we would want a JUDGE DREDD cover for the issue, and with that in mind we have just this week gotten confirmation that our first choice artist is going to be producing the cover for us. Who? Well, I’m not saying anything as yet; apart from this: He hasn’t been in Zarjaz (or any of the comics we produce) at all and he has been responsible for presenting the death of one of the most important characters in the Dreddverse. I’m seriously stoked to have his involvement in Zarjaz and I fully believe that the cover is going to be amazing! 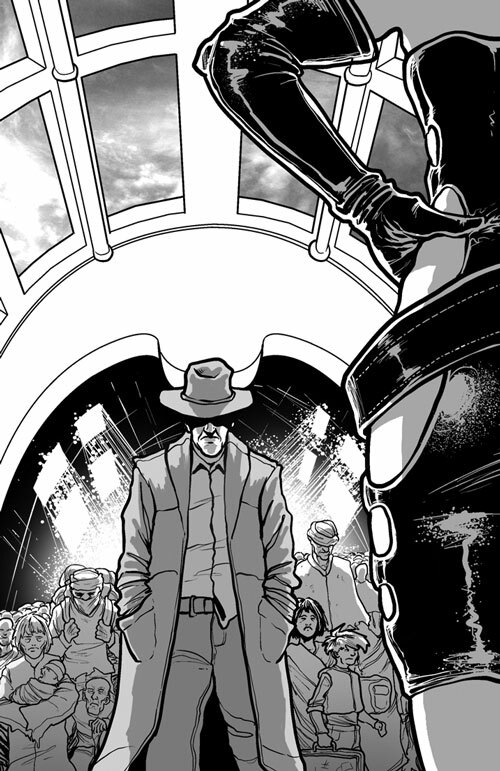 At last- After a journey taking 10 episodes and 3 different artists, Neroy Sphinx book 1 reaches it’s conclusion. Join Dan Whiston and Dave Thomson as they close the opening chapter with style! Oh, Yes! Electronux! Sometimes only an electrified punch can settle an argument. Find out what all this is about in STRONTIUM DOG- BEST SERVED COLD, by Lee Robson and Simon Bennett Hayes. Available soon in DOGBREATH 25. 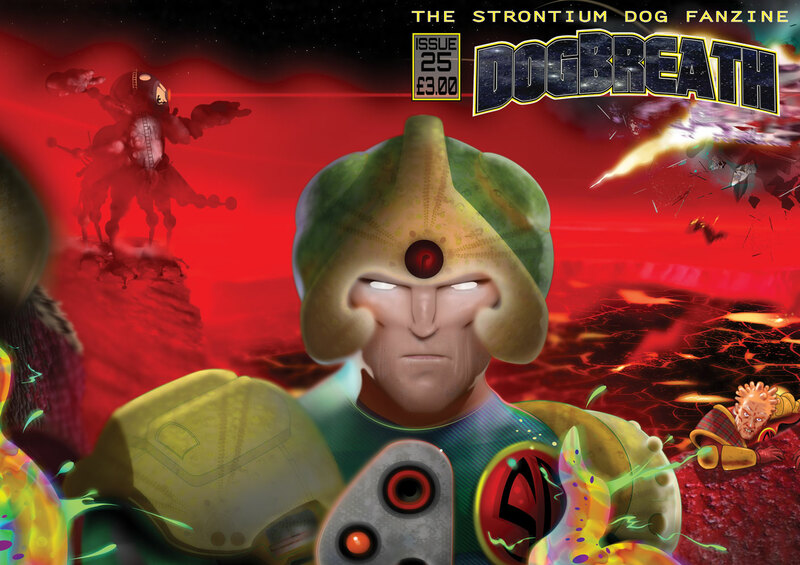 The cover to Dogbreath 25 is courtesy of Stewart Moore. The full contents will be pimped thoroughly in the next week, and the comic will be available at the Cardiff Expo before it goes on sale over t’Internet!